Being a Wits Alumni I received this note form the Wits Alumni Relations team – I thought our www.sagoodnews.co.za readers would be interested……. 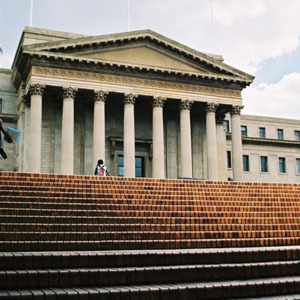 The Council of the University of the Witwatersrand agreed that the University will reopen on Monday, 10 October 2016, to ensure the continuation of the learning, teaching, research and administrative activities of the University, and the successful completion of each individual student’s academic year. This is for the benefit of all students – undergraduate and postgraduate, local and international, full-time and part-time and all staff – academic, professional, administrative and international. We are committed to completing the 2016 academic programme and to ensuring that examinations are written. Senate has approved a revised calendar for 2016, as well as developed contingency plans to ensure that examinations are written. It is clear that everyone in the University community has the same goal – to work as a community to realise the goal of free, quality higher education. We firmly believe that this can be done at the same time as finishing the academic year. No student should see a year’s worth of work come to naught, along with the financial sacrifices that they, and their families have had to make. We believe that this campaign has been strengthened by a collective commitment from the entire University community to seek meaningful and speedy ways to make university education accessible, but it is also clear that the majority of the University community and society at large desperately want to save the academic programme of the University. Our approach is to do both. We call on all students, parents, staff and stakeholders to join us in this approach, to ensure that everyone has a chance to write, to pass, to create space for the next year of university intakes while at the same time giving equal priority to the broader political issues of funding and transformation. The University has responded to the challenge led by students and made a commitment to joining the national call for free education. Read the draft declaration. The University will hold a General Assembly once all constituencies agree on a unified stance around the issue. We will continue to reach out to student leaders and channels remain open for other engagements but we cannot afford the ongoing loss of the academic programme. We fully support the right to peaceful protest. Students will be allowed to protest, but only in specific, identified areas. Large groups of people engaged in protest action will not be allowed to gather outside the designated areas. We are all completely opposed to the intimidation of staff or students or the disruption of academic activities. As such, any person/s intimidating students to leave a classroom or building, or disrupting any University activity, may be suspended. We are completely opposed to violent protest. As such, anyone carrying rocks, stones, weapons or any other items that can be used to destroy property or inflict harm, will immediately be disarmed, and may be suspended. Any person using items to deliberately conceal their identity, may be suspended. Rigorous control of access to the University, including comprehensive and sporadic checks of all vehicles, including buses, will be implemented. All staff and students will be required to carry their access cards with them, as is the norm. All persons arrested by the police may immediately be suspended. All suspensions will immediately be processed for finalisation through disciplinary hearings. We appeal to every student and staff member to please bear with us during this difficult week as we work towards getting the academic programme back on track, which is in the interest of every Wits student. Our success can only be achieved if we all work together – we are stronger together.